Cindi R. Brandt received her J.D. degree from New York University School of Law (1987) and a B.A. degree (Phi Beta Kappa) with distinction in Political Science from Northwestern University (1984). Ms. Brandt concentrates exclusively on employment law matters, representing employees in all areas of work-related claims and disputes. 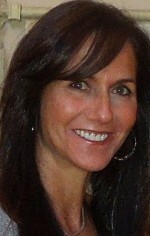 She provides personalized attention to each client in handling sensitive issues arising in cases of harassment, termination, discrimination, hostile work environment, retaliation, unemployment, severance, whistleblowers, disputes over wages, benefits and contracts, family leave act violations, and failure to accommodate handicapped and disabled individuals. Ms. Brandt drafts employment contracts on behalf of employees and on behalf of employers. She also counsels businesses on employment matters, including workplace investigations, legal compliance, handbooks, and employer/employee relations. Ms. Brandt represents clients in claims for violations of state and federal employment laws. She also advocates for employees at the Equal Employment Opportunity Commission (“EEOC”); at the New Jersey Division on Civil Rights (“DCR”); and at the Appeal Tribunal (Unemployment Benefits) of the Department of Labor. 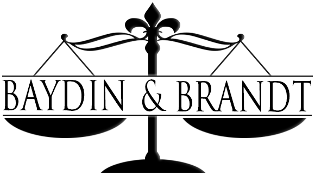 Ms. Brandt serves on the Employment Law Committee of the Morris County Bar Association and is a member of the New Jersey Chapter of the National Employment Lawyers Association. She lectures with Lynda Baydin to lawyers and civic groups on employment law hot topics and New Jersey unemployment law. Prior to her affiliation with Lynda Diane Baydin, Esq. in 2000, Cindi Brandt worked for 12 years in the litigation department at the New York City law firm of Kronish, Lieb, Weiner & Hellman (recently merged as Cooley LLP). Ms. Brandt was the lead associate on an 800-plus member class action representing parking garage employees in a labor and ERISA action where she helped to orchestrate a settlement resulting in industry-wide changes in employees’ coverage for health and pension benefits. She also successfully briefed and argued before the Second Circuit (NY federal court), resulting in a ruling that impacted health care facilities throughout the state of New York. Ms. Brandt serves on the Board of Directors as Vice-President of the Fibrous Dysplasia Foundation, co-authored articles in ABA publications, and served as a volunteer for the Battered Women’s Law Project and Volunteer Lawyers for Justice.